Nuovo disegno sulla base di Resident Evil 4 di Capcom per il mio amico Jambus_GTX , che caratterizza il suo Fursona Chris Blackscale come Leon S. Kennedy, mentre la sua dragonessa verde Thirdspace la misteriosa Ada Wong. 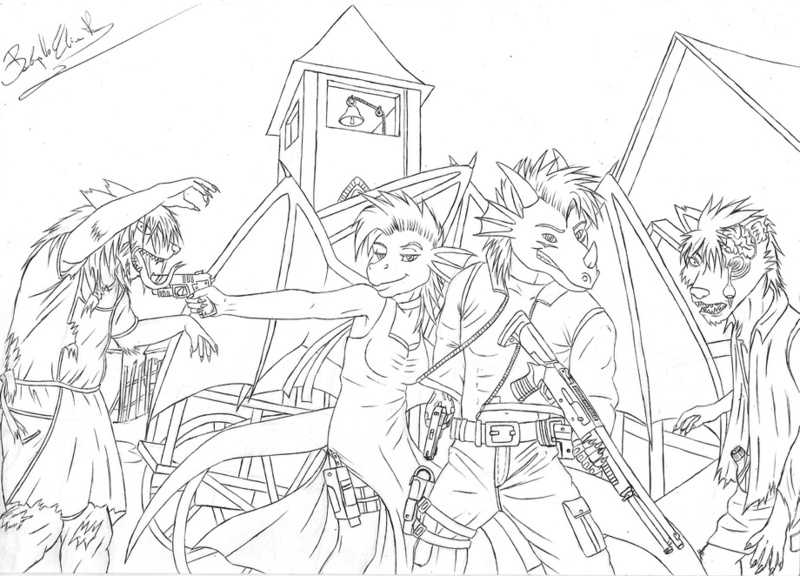 New design based on Capcom's Resident Evil 4 for my friend Jambus_GTX , that characterizes his Fursona Chris Blackscale, as Leon S. Kennedy, and Thirdspace, the emerald anthroid dragoness as the misterious Ada Wong. Resident Evil 4 and its characters © CAPCOM Co. Ltd.